David Joseph Bohm was an American-born British quantum physicist who was a leading expert in the fields of theoretical physics, neuropsychology and philosophy. He is regarded as one of the greatest and most influential theoretical physicists of the 20th century. David Bohm was born in Wilkes-Barre, Pennsylvania to Jewish parents. His father, Samuel Bohm owned a local furniture store and his mother was Frieda Popky. At high school David showed ability for solving math and science problems in a creative way. Bohm graduated from Pennsylvania State College in 1939 with a degree in physics. After attending the California Institute of Technology (CalTech) in 1940, Bohm switched to University of California, Berkeley in the spring of 1941. There, Bohm attained a doctorate in theoretical physics while studying under Robert Oppenheimer. His interest in left wing politics also blossomed and he was a member of the Communist Party for nine months in 1942. Bohm was invited to attend the prestigious Shelter Island Conference in June 1947 and later that year he secured the position of assistant professor at Princeton University where he worked closely with Albert Einstein. At Princeton he published a number of articles on plasma physics. He was arrested in 1950 for contempt of Congress during the McCarthy era because of his Marxist views. However he was acquitted in a trial the following year. Finding it difficult to work in the USA, in 1951 Bohm accepted the position of Professor of Physics at the University of São Paulo in Brazil. Bohm’s interest had turned now to quantum physics and the same year he completed his classic textbook “Quantum Theory” based on the orthodox view or ‘Copenhagen Interpretation’ advocated by Niels Bohr. Bohm moved to Israel in 1955 and worked for two years at the Technion at Haifa. In 1957 he moved to the United Kingdom as a research fellow at the University of Bristol. He published his second book “Causality and Chance in Modern Physics”. This book was about the philosophy of science and cemented his name as an original thinker. In 1959 Bohm and Yakir Aharonov discovered the Aharonov–Bohm effect. This states that a quantum phenomenon in which a particle is effected by electromagnetic fields even when traveling through a region of space in which both electric and magnetic fields are zero. In 1961 he became professor of theoretical physics at the University of London’s Birkbeck College, becoming emeritus in 1987. At Birkbeck, Bohm was influenced by psychological philosopher Jiddu Krishnamurti. Their friendship and collaboration lasted 25 years. Their conversations were published in the book “The Ending of Time” in 1985. 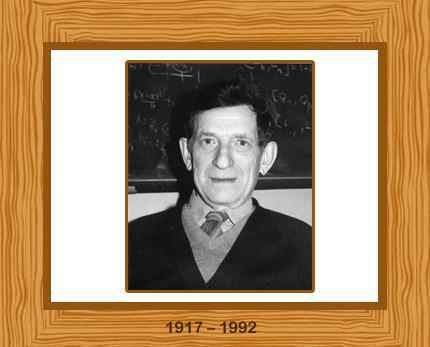 David Bohm, a scientist-philosopher, was a rare combination of the spirit of science and philosophy. He was considered to be one of the world’s foremost theoretical physicists and the most influential among the new thinkers. He was a committed researcher who was intensely absorbed in the problems of the foundations of physics. He studied the theory of relativity and developed an alternative interpretation of quantum mechanics in order to eliminate the philosophical paradoxes that seemed to be prevalent in quantum mechanics. He developed metaphysics, the philosophy of the implicate order, to steer humanity to a new profound vision of reality. He followed in the great tradition of Aristotle, in developing first, physics and then finding that it was inadequate to explain the dynamic process of matter, life and consciousness, later developing a metaphysics of the implicate and explicate order. The implicate-explicate order is the philosophical conclusion he had drawn from his lifelong research and musings in physics. Like Einstein-though for different reasons, Bohm was never reconciled to the current quantum mechanics’ interpretations and proposed a hidden order which was at work beneath the seeming chaos and lack of continuity of individual particles of matter as described by quantum mechanics. Bohm married Sarah Woolfson in in Israel in 1956. They had no children. Bohm continued his work in quantum physics beyond his retirement in 1987, writing the posthumously published “The Undivided Universe: An ontological interpretation of quantum theory (1993)”, in collaboration with his friend Basil Hiley. He died of a heart failure in Hendon, London, on 27 October 1992, aged 74.